HELP TO STUDY IN UKRAINE . IF you are getting difficulties, from Nigeria, Cameroon and Togo while trying to making his/ her way to Ukraine Embassy. We have special visa arrangements for Ghanaian, Nigerian, Cameroon and Togolese students at Ukraine embassy in Nigeria. We guarantee 100% visa, and without any hindrance, and visa denial. You do not face the stress standing in the long que at the Embassy. MUST BE translated into Ukrainian language. 6) Copy of birth certificate from Your country National Population Commission . 8) 8 photographs VISA APPLICATION TYPE. 9) UKRAINEEAS OFFICE Can Translation of all mentioned above credentials to Ukrainian language for $150 for foreign applicant quick and fast( contact us). 10) Return ticket with open date valid for one year. 11) Recent bank statement of parent or guardian. IN YOUR COUNTRY IF THERE IS ANY TO HELP YOU FOR Requirement & VISA SECUREING FOR student who are too busy to acquire the necessary document. 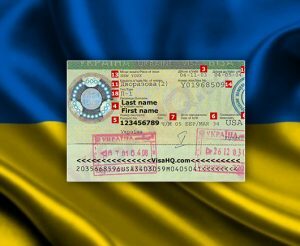 YOU STUDY IN UKRAINE AND YOUR VISA SECURING IS OUR CARE. FOR YOUR DOCUMENTS PREPARATIONS , EMBASSY BOOKING AND NON APPEARANCE VISA HELP , CONTACT US WE WILL LEAD YOU ON DETAILS CONTACT.